Gas Cutting Tools also are one of the most recent and latest advancements of science and technology to provide an easy and reliable way of cutting the tough and tensile materials in most convenient manner. These gas cutting tools have been brought forth to our clients by our company in each and every part of the country. 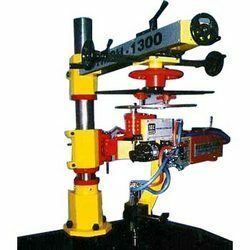 Gas Cutting Tools is also one of the finest and most exclusive kinds of gas cutting machineries which are provided with all the required facilities of cutting, shaping and drilling features. These Ostrich 1300s have been excellently designed and constructed at leading manufacturing companies using pure and premium quality raw materials and latest technologies which make them efficient and reliable for long lasting lifetime and satisfactory results. These Ostrich 1300s are basically used for the purpose of cutting the tough and tensile metallic and alloy items in desirable patterns and shapes. We are supplying these Ostrich 1300s in each and every part of the country. Looking for Gas Cutting ?